Annotated article from the Dictionary of National Biography. Extract from Aubrey's notice in Brief Lives. Edward Herbert in the robes of a Knight of the Bath. HERBERT, EDWARD (1583-1648), first Baron Herbert of Cherbury, was eldest son of Richard Herbert, esq., of Montgomery Castle. His great-great-grandfather was Sir Richard Herbert, of Colebrooke, Devonshire, the brother of William Herbert, earl of Pembroke (d. 1469). His great-grandfather, Sir Richard Herbert, was active in repressing disturbances about Montgomery Castle in the reign of Henry VII (Herbert, Henry VIII, sub anno 1520). His grandfather, Sir Edward Herbert, took part under his kinsman, William Herbert, earl of Pembroke (1501?-1570), in the storming of St.Quentin in 1557; repressed lawlessness in Wales with a strong hand as deputy-constable of Aberystwith Castle (16 March 1543/4) and as sheriff of Montgomeryshire (1557 and 1568); was M.P. for his county in 1563 and 1556-7; was esquire of the body to Queen Elizabeth, and was buried in Montgomery Church 20 May 1593. Edward's father, a handsome and brave man, well versed, according to his son, in history and the Latin tongue, was sheriff of Montgomeryshire in 1576 and 1584, and is probably the Richard Herbert who sat as M.P. for Montgomeryshire m the parliament of 1685-6. He died in 1596, and was buried in the Lymore chancel of Montgomery Church on 16 Oct. of that year. An alabaster canopied tomb (still extant) was erected to his memory by his widow in 1600, with recumbent figures of himself (in complete armour) and of herself, and small images of their children (see engraving in George Herbert, Poems, ed. Grosart, vol. ii., frontispiece). Herbert's mother was Magdalen, daughter of Sir Richard Newport (d. 1570) and Margaret, daughter and heiress of Sir Thomas Bromley (d. 1555?). She was a woman of great personal charm and fervent piety, and deeply interested herself in the education of her seven sons and three daughters. 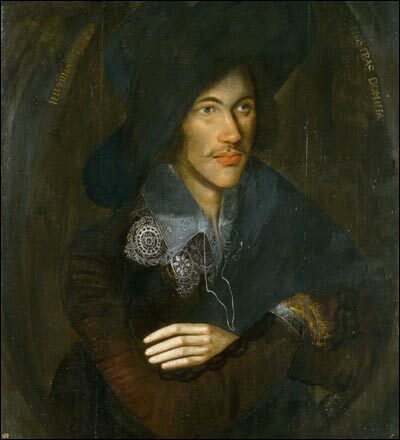 While at Oxford with her eldest son Edward she made the acquaintance of the poet Donne, with whom she maintained for the remainder of her life an amity made up of a chain of suitable inclinations and virtues (Walton, Life of George Herbert). She was liberal in her gifts to Donne's family; he addressed much of his sacred poetry to her, and commemorated her noble character in sonnets, and in a touching poem called The Autumnal beauty. In 1608 she married, at the age of forty, a second husband, Sir John Danvers, who was nearly twenty years her junior. The union was, according to Donne, thoroughly happy, and Sir John treated all his step-children with the utmost kindness (cf. Hist. MSS. Comm. 10th Rep. pt, iv. 379). She died in June 1627, and was buried in the parish church of Chelsea, near her second husband's London residence. A sermon on her life and character was preached by Donne on 1 July following, and was published, together with commemorative verses by her fourth son, George Herbert the poet. Her manuscript household book, with the expenses of her house in London between April and September 1601, belonged to Heber (Cat. pt. xi. p. 829). Of Herbert's six brothers, George, Henry, and Thomas are separately noticed. His second and third brothers, Richard and William, were both soldiers. The former, a distinguished duellist, fought much in the Low Countries, and was buried at Bergen-op-Zoom, apparently in 1622. The latter fought both in Denmark and the Low Countries, and died young. 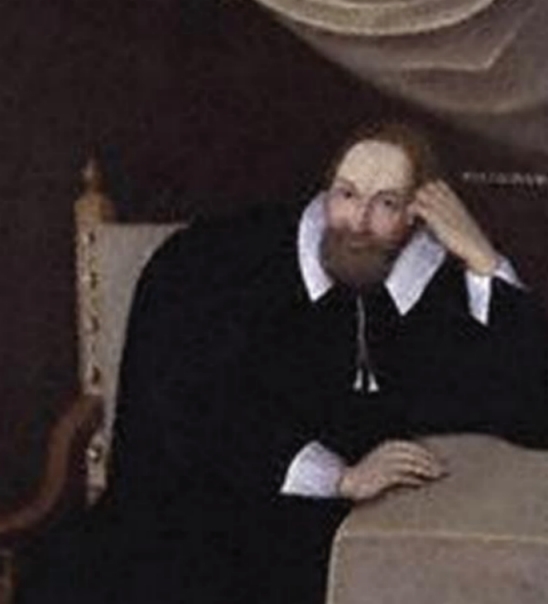 Charles, Herbert's fifth brother, born in 1592, was admitted to Winchester College in 1603; became a scholar of New College, Oxford, 4 June 1611, and fellow 3 June 1613, and died in 1617. Verses by him appear in Dr. Zouch's Dove, but the lines signed 'C. H.' in Sir Thomas Herbert's Travels (1634) are often assigned to him without authority. Of Herbert's three sisters, Elizabeth married Sir Henry Jones of Abennarlais, Carmarthenshire; Margaret, John Vaughan of Llwydiarth, with whose family the Herberts had been long previously at strife; and Frances was wife of Sir John Brown of Lincolnshire. In the summer of 1608 Herbert set out with a friend, Aurelian Townsend, on a foreign tour. Sir George Carew, the English ambassador, introduced him to the best society in Paris. He became intimate with M. de Montmorency, grand constable of France, and spent many months in hunting or riding on the constable's estates at Merlou or Mello, near Clermont (Oise), and at Chantilly. He celebrated the beauties of Merlou in attractive verse. At Paris he made Casaubon's acquaintance, and benefited by his learned conversation. Henri IV, Henri's divorced queen Marguerite of Valois, and the Princesse de Conti entertained him, and he satisfied his predilections for chivalric exercises by taking part as principal or second in many duels. With a friend, Sir Thomas Lucy of Charlecote, Warwickshire, be landed at Dover in February 1609, after being nearly shipwrecked in the passage from Dieppe. In July 1610 Herbert returned to the continent in company with Grey Brydges, fifth lord Chandos, one of the officers of the English expedition which had been sent out under the command of Sir Edward Cecil to aid in the recapture of Juliers from the emperor. Herbert took an active part as a volunteer in the siege, and claimed to be the first man to enter Juliers after its fall (cf. Grimestone, Generall Historie of the Netherlands, continued by William Crosse, 1627, p. 1294). A trivial quarrel at a drinking bout in camp, while the siege was in progress, between Herbert and Theophilus Howard, lord Howard of Walden, afterwards second earl of Suffolk, led Herbert to challenge Howard, but the duel, owing to Sir Edward Cecil's interference, never came off, much to Herbert's chagrin. Writing to Lord Salisbury, on landing at Dover in September 1610, Herbert offered to clear himself if accused of any wrong. Subsequently the dispute, to which Herbert gave an exaggerated importance in his memoirs, was composed by the privy council (Cal. State Papers, 1603-10, p. 635). Herbert was now, he tell us, in great esteem both in court and city. Copies of his portrait were in great demand, and he hints that Queen Anne was one of his admirers. A flirtation with a Lady Ayres led her husband, Sir John Ayres, to waylay him while riding near Scotland Yard in 1611, and he was brutally stabbed and beaten. A liaison of Sir Edward Herbert with the Countess of Kent, which is noticed by Selden, probably refers to Sir Edward Herbert (1591?-1667) the judge, Herbert's first cousin (cf. Selden, Table Talk). In 1614 Herbert joined, as a volunteer, the army of the Prince of Orange, which was taking part in the renewed strife for the possession of Juliers and Cleves. Herbert was well received, and when with the Dutch army before Rees, offered to accept a challenge, sent by a Spanish officer in the enemy's camp, to decide the war by single combat. 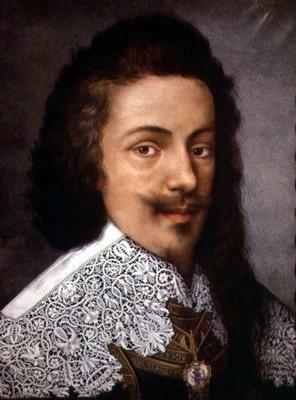 Spinola, the Spanish commander, refused to sanction the duel. Herbert took advantage of an interval in the warfare to make his way to the Spanish camp, near Wezel, where ne introduced himself to Spinola, and after some affable conversation with him, offered to join him if he led an army against the Turks. On leaving Wezel he travelled to Cologne; visited the elector palatine, whose fortunes he thenceforth watched with eager interest, at Heidelberg; and afterwards journeyed through the chief towns in Italy. He was everywhere royally entertained. At Rome he stayed at the English College, and studied antiquities. He attended lectures at Padua University; saw Sir Robert Dudley, titular earl of Northumberland, at Florence, and in the company of Sir Dudley Carleton, the English ambassador at Venice, made his way to the Duke of Savoy's court at Turin. At the duke's request he soon left Turin for Lyons to conduct four thousand men of the reformed religion from Languedoc into Piedmont to assist the Savoyards in their struggle with Spain. The journey was difficult, and Herbert, while in a desolate part of the country, was so exhausted that a woman offered to give him milk from her breast, but he declined the kindness. He was carried in a chair over Mont Cenis, but on his arrival at Lyons was imprisoned by the governor, who regarded his mission as hostile to France (June 1616). 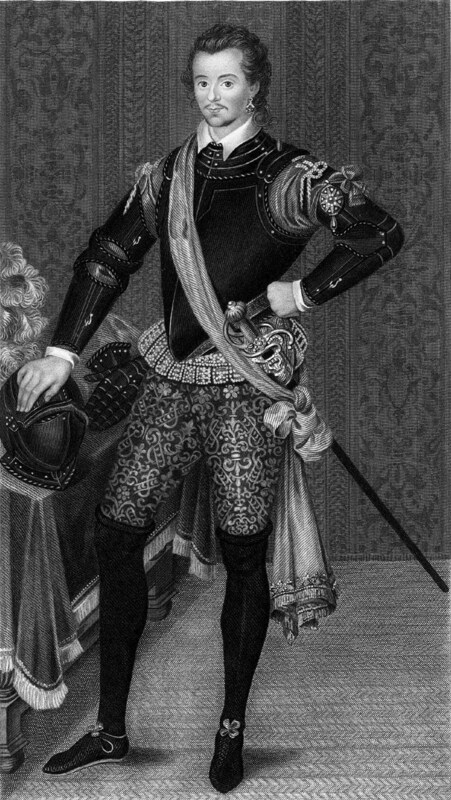 With characteristic imprudence he sent the governor a challenge, but at the intercession of Sir Edward Sackville, who was visiting Lyons, and of the Duc de Montmorency, son of his old friend the constable, he was released in a few days, and set out for the Low Countries, visiting the elector palatine at Heidelberg once again on the way. The Prince of Orange received him hospitably, and Herbert was his constant companion for some days, playing chess with him, visiting his stables with him, and even assisting him in his amours. Herbert arrived in England in bad health, after a dangerous crossing in the winter of 1616/17. He had been absent more than two years. The following year and a half Herbert spent in London, suffering from a quartan ague, but his love of duelling was not yet quelled, and he had many petty quarrels and angry encounters with those who offended his sensitive dignity. His friends were not, however, confined to courtiers. Donne, who had addressed a poem to him while he was at Juliers, hold him in high esteem and encouraged him to pursue his studies (cf. Donne, Letter to Herbert, No. lvi. with a copy of Biothanatos ). Ben Jonson was much in his society. To Jonson he dedicated a satyra while on his first visit to Paris, and he eulogised Jonson in lines prefixed to Jonson's translation of Horace's Ars Poética. In return Jonson applauded Herbert's learning, wit, valour, and judgment in very complimentary verses. Seiden was likewise on intimate terms with Herbert for the last thirty years of Herbert's life (cf. Addit. MS. 32092, f. 314), and Carew was a congenial acquaintance. But early in 1619 Herbert was drawn into public affairs more prominently than before. George Villiers, created Earl of Buckingham in 1618, was all powerful, and after a casual introduction to Herbert, offered him the post of English ambassador at Paris. Herbert eagerly accepted the office. He left London with Carew among his attendants on the day of Queen Anne's burial (13 May 1619). His instructions impressed on him the duty of maintaining peaceful relations between England and France, and he was directed to renew the oath of alliance between Louis XIII, king of France, and James I. He furnished a house at great expense in the Faubourg St. Germain, and lived in extravagant splendour; but he worked hard, showed much skill in the arts of diplomacy, and made some useful suggestions to his government about continental politics. He argued for a permanent alliance between England and Holland; urged his friend the elector palatine to acccept the crown of Bohemia, and on the outbreak of the thirty years' war strove to enlist the active support of many French noblemen in the electors behalf. He obtained precedence at court over the Spanish ambassador, and was popular with the royal family, and with his old friends the Montmorencies, at whose castle of Merlou he stayed while the plague raged at Paris (July 1619). On 1 Oct. 1619 he suggested to Buckingham a marriage between Prince Charles and Henrietta Maria, and asserted that it would be popular in France, and that the princess, who desired the match, was willing to conform to the prince's religion. He begged James I to confer on him the status of ambassador extraordinary to enable him to take part with fitting éclat in the formal ceremony of renewing the oath of alliance between England and France (February 1619/20). In the spring of 1621 Louis XIII, at the instigation of his favourite, De Luynes, resolved to send an army against his protestant subjects, who were in revolt in Bearn. Herbert, in vain urged a peaceful solution of the difficulty, hut followed the king's camp, repeated his counsels of peace, and openly quarrelled with De Luynes. Herbert sent him a challenge. Complaint of Herbert's conduct was made to James I, and in July 1621 he was recalled to London. He offered explanations to James, which proved fairly satisfactory, but it is doubtful if he would have resumed his office had not De Luynes died (21 Dec. 1621). In the following February Herbert returned to Paris and applied himself with increased zeal to collecting political information. He watched with the utmost attention the course of the disturbances in Germany, but found time for metaphysical speculation, which he embodied in his famous book De Veritate, and he entertained Grotius and other learned men. Herbert's official difficulties with the French court began anew after it was known that Prince Charles had offered to marry the infanta of Spain, and when the scheme of the Spanish marriage was abandoned, Herbert was entrusted with the embarrassing task of opening negotiations with the French government for Charles's marriage with Princess Henrietta Maria. James I was desirous that France should intervene in the German strife in behalf of his son-in-law the elector palatine, and directed Herbert to make that intervention a condition of the union. Herbert rightly pointed out that Louis XIII was very unlikely to accept such terms. Herbert's attitude offended the king, and in April 1624 he was suddenly dismissed. Before leaving Paris he printed there his treatise De Veritate. Herbert came home in July deep in debt. He claimed to have lived in a more chargeable fashion than any of his predecessors, and remittances from England had been irregularly paid. He pressed in vain for a settlement of his accounts. His only reward in the first instance was the Irish peerage of Castleisland, county Kerry, from the name of an estate inherited by his wife (30 Dec. 1624). He was promised an English peerage later. On 8 May 1626 he petitioned Charles I for payment of his debts, for an English peerage, and for seats in the privy council and council for war. His pecuniary embarrassment was growing, but he received a joint grant with his brother George and another of the manor of Ribbesford, 21 July 1627; on 7 May 1629 was created Lord Herbert of Cherbury or Chirbury (the name of an estate of his in Shropshire) in the English peerage; and on 27 June 1632 was appointed a member of the council of war, to which he was reappointed 29 May 1637. To improve his position with the king, he wrote after Buckingham's death a vindication of Buckingham's conduct at La Rochelle in 1627, in reply to pamphlets by a Frenchman named Isnard and a Jesuit named Monat, and on the basis of notes prepared by Buckingham himself. The book, which was only circulated in manuscript, was dedicated (from Montgomery Castle, 10 Aug. 1630) to Charles. It was commended by Sir Henry Wotton (Reliquiæ Wotton. 1685, p. 226), but gained no royal recognition. In 1632 he began his great historical work on the reign of Henry VIII, and in the next year applied to the crown for pecuniary aid in prosecuting his researches, he was granted apartments in the palace at Richmond, but on 10 Jan. 1634/5 begged to be allowed to remove to Whitehall or St. James's Palace, in order to have access to the paper chamber of the one and the library of the othar house. He sought (he wrote at the same time) some unequivocal mark of royal favour in order to be distinguished from Sir Thomas More or Bacon, great personages, who had devoted themselves to historical work in the time of their disgrace, when otherwise they were disabled to appear (Cal. State Papers, Dom., 17 Jan. 1634/5). On 14 March 1635 he sent Charles I a paper of observations on the necessity of vesting the supremacy of the church in the ruler of the state, and the king sent the document to Laud, with whom Herbert was on familiar terms. But in his yearning for praise from whatever quarter it might come, he informed Panzani, the papal envoy at Charles I's court, a month or two later, that in his history of Henry VIII he intended to favour the theories of the papacy, and offered to submit his philosophical treatise De Veritate to the pope's criticism. With characteristic versatility he was interesting himself in mechanical invention at the same time, and sent to Windebank in 1635 suggested improvements in warships and gun-carriages, and proposed the erection of a floating bathing-palace on the Thames (ib. 1635, pp. 62-3). Prince Rupert of the Rhine. ground of ill-health, and when Prince Rupert, for whose mother he had declared in earlier life a chivalrous devotion, invited him to Shrewsbury in February 1643/4 to discuss measures for the defence of Wales, Herbert sent the same excuse. Moreover, he begged Rupert not to send any soldiers to Montgomery for the defence of his castle, as he was content to rely on his son's troops. Later in the year (August) Prince Rupert again commanded Herbert's attendance at Shrewsbury, and again Herbert declined to leave home, on the ground that he had newly entered into a course of physic. On 3 Sept. Sir Thomas Middleton advanced on Montgomery Castle at the head of a parliamentary army. Herbert was alone there with his daughter Beatrice. Middleton summoned him to surrender, and allowed him a few days' delay. Meanwhile, on 9 Feb. 1643/4, parliament had given orders for the confiscation of Herbert's London property. His books were to be sold by the parliamentary officials on 30 Aug., but the sale was adjourned for a week till they heard of his behaviour touching the surrender of his castle. Moved doubtless by a desire to save his property, Herbert, half an hour after midnight of Thursday, 6 Sept., signed an agreement with Middleton's lieutenant, James Till, to admit to his castle a garrison of twenty of Middleton's soldiers, on condition that he should, if he chose, remain in the castle with his daughter, or if he desired to remove to London be provided with a convoy; that none of his property should be seized; that no soldiers should enter his library or the adjoining rooms, and that when peace was arranged he should be replaced in full possession of the castle and its contents. He straightway sent a servant, James Heath, to London, to inform the parliament of his compliance with Middleton's demands, and to request a further delay of the threatened sale of his London property. Brereton, the parliamentary general in Cheshire, forwarded a favourable report of Herbert's action. On 23 Sept. the orders for the sequestration of his goods were discharged. In the meantime Sir Michael Ernely, the royalist commander, had arrived at Montgomery, and had laid siege to the castle, which the royalists described as the key to North Wales. Middleton obtained large reinforcements, and Lord Byron came to Ernely's aid. On 17 Sept. a battle was fought, and resulted in the defeat of the royalists. Thereupon Herbert went to London; made submission to the parliament; petitioned for pecuniary aid, and was granted 20l. a week (26 Feb. 1644/5). Thenceforth he lived chiefly in his London house in Queen Street, near St. Giles's, and occupied himself with literary work. On 26 Oct. 1646 he was appointed steward of the duchy of Cornwall and warden of the Stannaries. On 25 March 1647 he complained to the parliament that he was excluded from Montgomery Caatle; asked permission to appoint a governor of his own choosing, and promised to maintain the castle in the parliamentary cause. His request was granted. On 12 May he was called before the House of Lords to answer for the failure of his governor to resist an assault on the castle made by the royalists of Welshpool. 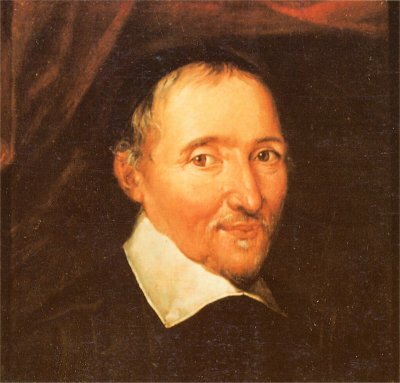 In September 1647 he visited the philosopher Gassendi in Paris. On 9 Nov. he was fined for absenting himself from the House of Lords, but the fine was remitted on the ground of his ill-health. On 4 May 1648 he petitioned for payment of the arrears of his pension, and bitterly complained of his losses. He made his will on 1 Aug. 1648, and on 20 Aug. he died at his house in Queen Street. Aubrey reports that on his deathbed he sent for Ussher, a friend in earlier years, to administer the sacrament to him, remarking that it might do him some good and could do him no harm. On these terms Ussher declined his request. By Herbert's directions his body was buried at twelve o'clock at night in the church of St. Giles's-in-the- Fields, without pomp or other ceremony than is usual. A Latin inscription, said to be by Lord Stanhope, was inscribed on his gravestone. He had written an epitaph in English verse for himself, and designed an elaborate monument to be erected either in Montgomery or Cherbury Church, but this plan was not carried out. Under his will his grandson Edward, son of his elder son, Richard, inherited most of his books and personal property, which were to be strictly applied to his personal use. Money was appointed for his education in some one of the universities or in travel beyond the seas. Small bequests of personal property were made to Herbert's daughter Beatrice, and his granddaughters, Frances and Florence (young Edward's sisters). His younger son, Edward, was granted the manor of Llyssin for life, on condition of payment of 10l. yearly to two maimed soldiers, who had distinguished themselves in war in the service of England or her allies, and who were to wait with halberds in their right hands before Montgomery Castle. Richard, the elder son, was granted his father's horses, with a special injunction to make much of the white horse; and the viols and lutes went to Richard's wife. Finally Herbert stated that the parliament owed him 2,000l., the arrears of his pension, and that he lost 2,000l. in the war, all which debts he remitted on condition that the fine of 2,600l. imposed on his elder son for his delinquency should be cancelled. His grandson Edward and his friends Selden and Evan Thomas of Bishops Castle, Shropshire, were his executors, and were charged to bring his petition in behalf of his elder son before parliament. His Latin and Greek books were left to Jesus College, Oxford, where they still remain. Herbert's wife had died 29 Oct. 1634, and was buried in Montgomery Church. Three children survived both parents: Richard, the heir; Edward, of whose spendthrift habits Herbert was constantly complaining; Beatrice, born at Montgomery 13 Aug. 1604. Another daughter, Florence, born 27 Sept. 1606, died young. Herbert, who was called the black Lord Herbert, on account of his dark hair and complexion, was very handsome. Four portraits are known: (1) in the robes of a knight of the Bath (now at Powis Castle); (2) a miniature by one Larkin (i.e.William Larkin), painted for Sir Thomas Lucy (now at Charlecote); (3) lying on the ground after a duel, by Isaac Oliver (now at Powis Castle); (4) a portrait, attributed to Oliver, now at Penshurst, Kent. A fifth portrait of Herbert, mounted on a favourite horse, is described in the Autobiography (p. 111), but its whereabouts are not known. 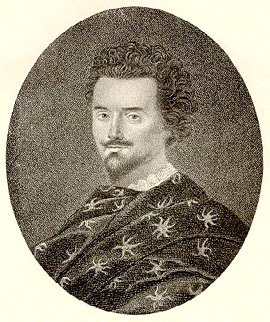 The third portrait was engraved in Horace Walpole's edition of the Autobiography, 1764, and both that and the first were etched for the edition of 1886. In his will Herbert states that he had begun a manifest of my action in these late troubles, and promised to name a person by word of mouth to complete and publish it. The reference is doubtless to his autobiography, which only extends as far as his recall from France in 1624. Two manuscript copies were made after his death, one of which belonged to his grandson Edward, and the other to hie brother Sir Henry. The former copy was found in the eighteenth century, half destroyed, in the house of its original owner's descendants at Lymore, Montgomeryshire. The second copy, originally deposited in Sir Henry's house at Hibbesford, came under Horace Walpole's notice in 1768, and Walpole, impressed by its entertaining character, printed it for private circulation at Strawberry Hill in 1764. Walpole dedicated it to Lord Powie, into whose possession the manuscript had come. The memoir was reissued in 1770,1809, and 1826. A critical edition, by the present writer, appeared in 1886. No manuscript is now known to be extant. Herbert is best known to modern readers by his autobiography. Childlike vanity is the chief characteristic of the narrative. He represents himself mainly as a gay Lothario, the hero of innumerable duels, whose handsome face and world-wide reputation as a soldier gained for him the passionate adoration of all the ladies of his acquaintance and the respect of all men of distinction. He enters into minute details about his person and habits. He declares that he grew in height when nearly forty years old, that he had a pulse in his head, that he never felt cold in his life, and that he took to tobacco in his later years with good effect on his health. But Herbert's veracity even on such points is disputable; his accounts of his literary friends and his mother are very incomplete, his dates are conflicting, and he does himself an injustice by omitting almost all mention of his serious studies, which give him an important place in the history of English philosophy and poetry. He only shows the serious side of his character in a long digression on education in the early part of his memoirs, where he recommends a year's reading in philosophy and six months' study of logic, although I am confident, he adds, a man may have quickly more than he needs of these arts. Botany he praises as a fine study, and worthy of a gentleman, and he has some sensible remarks on moral and physical training. He states that he had written a work on truth, which he had shown to two great scholars, Tilenus and Grotius, who exhorted him to print it. Herbert's chief philosophical treatise, De Veritate, prout distinguitur a Revelatione, a Verisimili, a Possibili, et a falso, was first published in Paris in 1624. In Sloane MS. A 3957 is a scrivener's transcript with a dedication to Herbert's brother George in his autograph dated from Paris in 1622 and with autograph corrections. The book is all in Latin, and is often very obscurely expressed; it is the earliest purely metaphysical treatise written by an Englishman. After accepting as an axiom that truth exists, Herbert evolves a somewhat hazy but interesting theory of perception to the effect that the mind consists of an almost infinite number of faculties, exactly corresponding to the number of objects in the world. When an object is brought into contact with the mind, the corresponding faculty grows active, and thus perception is established. The faculties are reducible to four classes, of which the chief is natural instinct. This somewhat resembles the Aristotelian νουσ, or the common-sense of other philosophies. It is the source of primary truths (notitiæ communes) which are implanted in man at his birth, come direct from God, and have priority of all other notions. The other three classes of faculties are the internal sense, or conscience, distinguishing good from evil; the external sense, or sensation; and the discursus, or reason, which distinguishes the relations between conceptions produced by the other faculties. Finally, Herbert asserts that man's capacity for religion rather than his reason distinguishes him from animals. The De Veritate was republished in Paris in 1636. A French translation appeared in the same city in 1639. It was first published in London in 1646, and again in 1659. Herbert continued his theory in his De Causis Errorum, a work on logical fallacies, published in 1646. With that work he issued accounts of his religious opinions in two tracts, Religio Laici and Ad Sacerdotes de Religione Laici, and three Latin poems, two of which, on life here and hereafter, also appear in the autobiography. He completed his exposition of his religious views in his De Religione Gentilium, published posthumously at Amsterdam in 1663 (2nd edit. 1700), which appeared in an English translation by W. Lewis in 1709, and is the only one of Herbert's philosophical works of which there is an English version. A Dialogue between a Tutor and a Pupil, London, 1708, 4to, of which a manuscript is in the Bodleian Library, is also undoubtedly by Herbert, and fulfils the promise made by him in his autobiography of making a special treatise on education, but chiefly deals with the need of reforming religious instruction in accordance with his own religious theories. Herbert's religious doctrine starts with the assumption that religion, which is common to the human race, consists merely of the five innate ideas or axioms, that there is a God, that He ought to be worshipped, that virtue and piety are essential to worship, that man ought to repent f his eins, and that there are rewards and punishments in a future life. Herbert shows that all religions, Christian and pagan, are resolvable into these elements, and his method undoubtedly pointed the way to the science ef comparative religion. The first axiom is illustrated, as in Paley's Evidences, by the example of a watch, but both Herbert and Paley were here anticipated by Cicero (De Deorum Natura, ii. 84). Herbert rejects all Revelation,and describes so-called Revelation as the artifice of priests, for whom he has little respect. All known Revelations lack the universal assent which could alone demonstrate their truth. None the less, he admits that a special revelation may be made directly to a particular person, and asserts that the sign vouchsafed to him when in doubt as to the publication of his De Veritate was a genuine revelation from heaven. Finally, he regards Christianity as on the whole the best religion, because its dogmas are least inconsistent with his five primary articles. Incidentally Herbert describes sin as very often attributable to hereditary physical defects; declares that a virtuous man, whatever form his religion takes, will attain eternal happiness; and that it is best for a man to overlook injuries done him in this world, because the aggressor who does not suffer here will receive double punishment hereafter. In practice, Herbert seems to have conformed to the ceremonies of the church of England. Aubrey says that he kept a chaplain and had prayers read twice a day in his house. Herbert shows no signs of any acquaintance with the works of his contemporary, Bacon; and, although he had read Plato, Aristotle, Tilenus, and Paracelsus, there can be no question of his originality as a speculative inquirer. His religious opinions excited nearly universal hostility, but it was not till some years after his death that much interest in them was exhibited. Charles Blount (1654-1693) professed himself a disciple, and paid Herbert the compliment of plagiarising his "Religio Laici" in a volume of the same name (1682), and his De Religione Gentilium in Great is Diana of the Ephesians (1680). In his Two First Books of Apollonius Tyaneus Blount claimed to have utilised unpublished notes by Herbert, but he only borrowed from his published works. Nathaniel Culverwell, in 1652, in his Discourse of the Light of Nature, accepts in part Herbert's theory of à priori knowledge, but vehemently denounces his theory of religion. Richard Baxter, in More Reason for the Christian Religion (1672), seeks to refute his objections to Revelation. Thomas Halyburton, in Natural Religion Insufficient (1714), was scandalised by Herbert's comparisons of Christianity with paganism. Locke, in his Essay on Human Understanding, examines in detail Herbert's theory of innate ideas for the purpose of rejecting it, but adopts parts of his religious theory, and in his Reasonableness of Christianity admits the justice of his strictures on sacerdotal theology. Dr. John Leland discusses from a hostile point of view Herbert's views in the opening chapter of his View of the Principal Deistical Writers (1764), i. 1-34. In 1783 appeared An Enquiry into the Infidelity of the Times, with Observations on Lord Herbert of Cherbury, by J. Ogilvie. Meanwhile, Herbert had received higher commendation abroad. He sent a copy of bis De Veritate to Gessendi the philosopher, through Milton's friend Diodati, and Gsssendi refers, in the main approvingly, to his theory of perception (Opera, iii. 411). Descartes aleo studied Herbert, and, while complaining of his metaphysical subtlety, recognised his eminence ae a thinker. Direct attacks on Herbert appeared abroad in J. Musaeus's Examen Cherburianismi, sive de Luminis Natura insufficientia ad salutem, contra E. Herbertum de Cherbury, Jena, 1675 (2nd edit. ), and Wittenberg, 1708, and in C. Kortholt's De Tribus Impostoribus, i.e. Herbert, Hobbes, and Spinoza, Keil, 1680, and Hamburg, 1700. 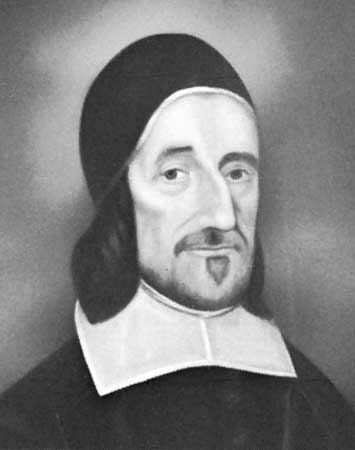 Halyburton, in his Natural Religion Insufficient, 1714, declared that Herbert was the first who dress'd Deism and brought it to something of a form, and Leland, in 1764, first described him as the father of English Deism. These claims have been popularly admitted. But Herbert has, as a matter of fact, little in common with the eighteenth-century school of Deists. Only Blount acknowledged any indebtedness to him, and it is doubtful if the true leaders of the movement were acquainted with his writings. Herbert's true affinity is with the Cambridge Platonists. A volume of Herbert's poems, in English and Latin, wae published by his brother Henry in 1666. Ae a poet he was a disciple of Donne, and excelled his master in obscurity and ruggedness. Ben Jonson was impressed by his obscureness. His satires are very poor, but some of his lyrics have the true poetic ring, and at times suggest Herrick. He often employs the metre which was brought to perfection by Tennyson in In Memoriam. His Latin verses are scholarly, and chiefly deal with philosophic subjects. His poems were reprinted and edited by Mr. J. Churton Collins in 1881. The Life of Henry VIII, Herbert's standard historical work, embodies a mass of information derived from authentic papers. It is an apology for Henry. Four manuscript volumes, containing many notes for the book, are now in Jesus College Library. He was assisted in the compilation by many clerks and by Thomas Master, B.D., a fellow of New College, Oxford, who is said to have aided him in his other works. The history was first published in 1649. Whitaker, the publisher, who had obtained the manuscript from Herbert, had some litigation in the House of Lords with Herbert's grandson Edward, who claimed that the manuscript was left to him for his sole use. Herbert's commentaries on Buckingham's expedition to the Isle of Rhé was published in a Latin translation by Timothy Baldwin in 1636. The original English version was first printed by the third Earl of Powis (1818-1891) for the Philobiblon Society in 1860. Two manuscript copies of Herbert's unpublished paper on the royal supremacy in the church are extant, one at Queen's College, Oxford, and the other in the Public Record Office. Source: Dictionary of National Biography (1909 ed. ), Vol. 9, pp 624-632. Edward Herbert, baron Herbert of Chirbury (1583-1648). (James) Usher, Lord Primate of Ireland, was sent for by him, when in his death-bed, and he would have received the sacrament. He sayd indifferently of it that if there was good in any-thing 'twas in that, or if it did no good 'twould doe no hurt. The primate refused it, for which many blamed him. He dyed at his house in Queen street, very serenely; asked what was a clock, answer so …: then, sayd he, an houre hence I shall depart. He then turned his head to the other side and expired. In his will he gave speciall order to have his white stone-horse (which he loved) to be well fed and carefully looked after as long as he lived. He had two libraries, one at London, the other at Montgomery; one wherof he gave to Jesus College, Oxon. Source: Collections Historical and Archeological Relating to Montgomeryshire and Its Borders, Vol XXIV, pp. 105-106.